Walt Eckerson lettered in basketball and soccer at Springfield College. His pro basketball career consisted of just four games for the Troy Trojans during the 1927-28 season of the New York State Basketball League. His involvement with basketball, however, would go on for almost four decades. 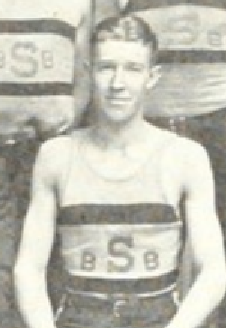 Eckerson coached basketball at Lansingburg High School from the 1927 through the mid-1960’s. His teams were consistently among the top-rated scholastic squads in upstate New York.